Came home from work to find some sluch on deck and car. Must have been a little snow. now thundering!! wish is was thunder snow!! With the proper path this could have been an historic Mid April snow storm for some of the area. Tree down and accident made me late. Thunder lightning now soaking rain. It's crazy out. The bursts of heavy rain bring big down bursts of wind. Anyone in the main part of the front line what's it like? Basically is a tropical storm out here. Havent seen rain this heavy and this persistent in a while. I knew itd be windy but not like this. the rain has stopped for now..currently we have 3.20 inches of rain!! Up to major flooding. not just Bx river pkwy but Saw Mill and Hutch closes as well. 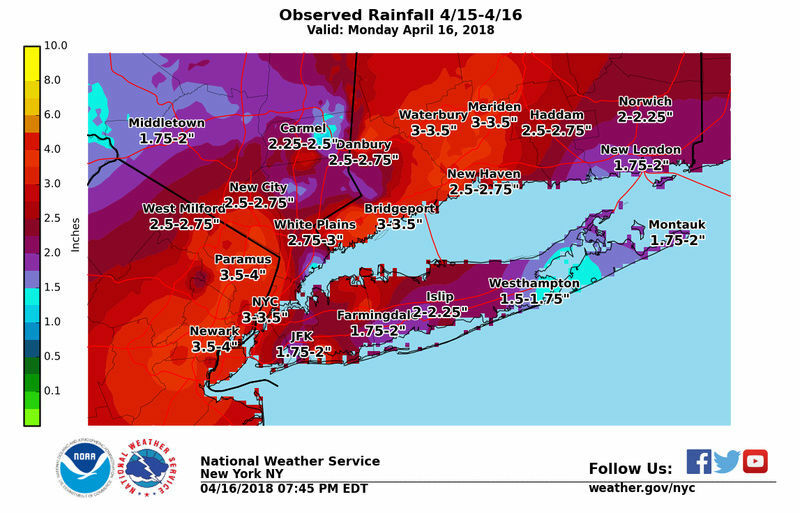 .25" for last night 4/15/18, 4.23" today so far for a total of 4.48"
Drove home along saw mill, was so close to being a major flood, literally 50 feet or less from being over the parkway. 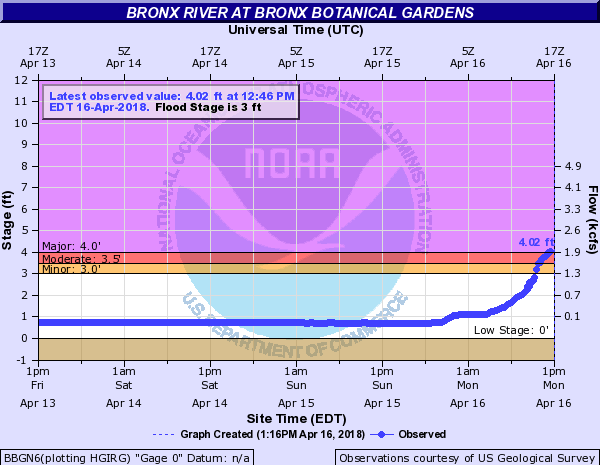 The Bronx river seems to get worse than saw mill dtone. I know the hutch did have flooding to close in some low lying places. How much rain did we have? At times it was literally whiteout rain. [quote="jmanley32"]Drove home along saw mill, was so close to being a major flood, literally 50 feet or less from being over the parkway. The Bronx river seems to get worse than saw mill dtone. I know the hutch did have flooding to close in some low lying places. How much rain did we have? At times it was literally whiteout rain. it was one crazy storm today sheets and blinding rain we have not seen this in long time .i know we had about 2.80 inches of rain . jmanley32 wrote: Drove home along saw mill, was so close to being a major flood, literally 50 feet or less from being over the parkway. The Bronx river seems to get worse than saw mill dtone. I know the hutch did have flooding to close in some low lying places. How much rain did we have? At times it was literally whiteout rain. 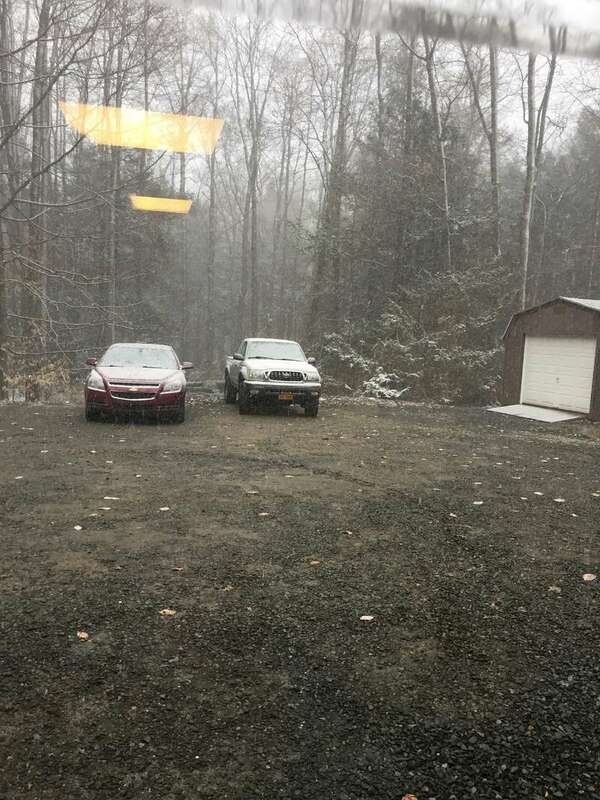 April 17th and still snow flurries. Will winter ever end? It feels so damn nice to still see snow showers in the forecast!!!!!! Thursday NightA chance of rain showers before 9pm, then a chance of rain and snow showers between 9pm and midnight, then a chance of snow showers after midnight. Mostly cloudy, with a low around 35. Chance of precipitation is 30%. 33 we had moderate snow for 45 minutes. 1/2 inch on cold surfaces. The winter that won't stop. 32 and still snow on the cars, bushes, trees and grass from last night. Winter is not going out without a fight this year. Of course this is no surprise to anyone that read that banter page On February 2nd.